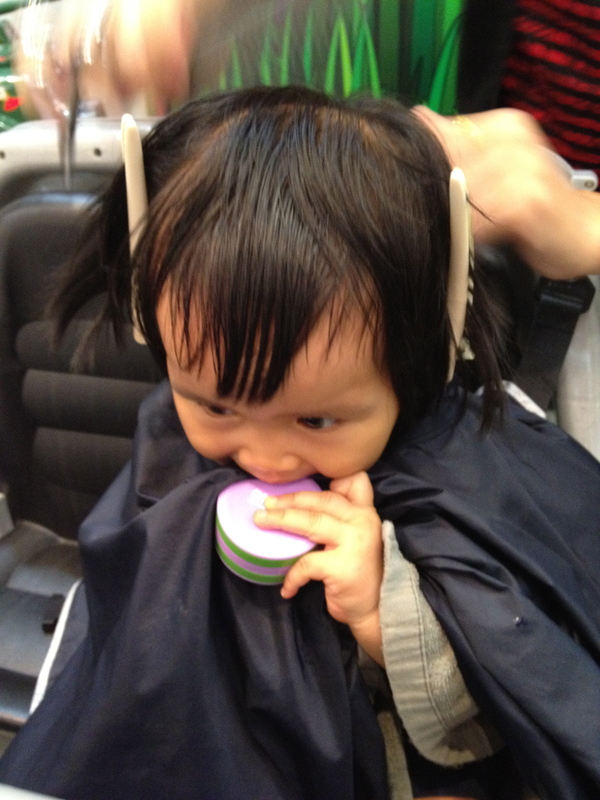 We just got back from B’s music class and her first haircut!! Yay!! Not easy… it’s almost impossible to get her to sit quietly.. Only in my dreams!! 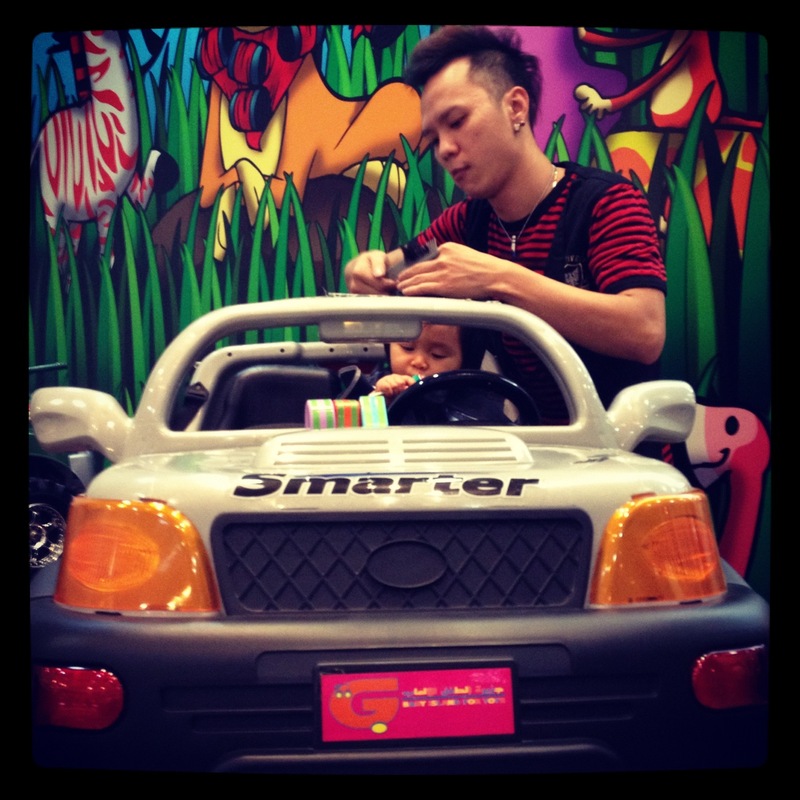 We found this place, that has toy cars to attract babies and toddlers.. I thought B will be excited..! But not for long.. within 10 seconds, she became restless and wanting something new to distract her..
Fuhh.. lucky she doesnt have lots of hair like Rapunzel..
Posted on May 27, 2012 by Dr Halina Mohd YunosPosted in MommyhoodTagged first. Previous Previous post: Real Swimming Lesson Here!! Next Next post: Fish with Carrot and Orange!! I like the first pic…. Bella had that naughty look….. ee…. geram!! 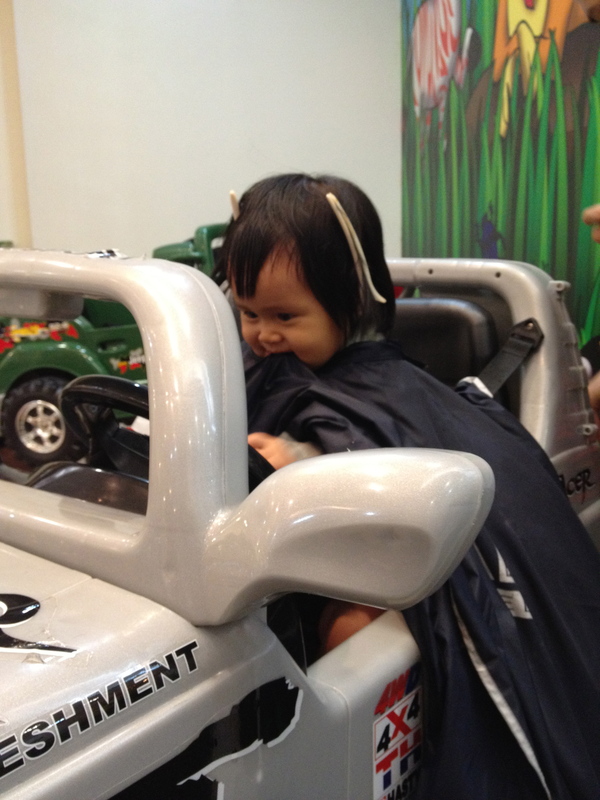 The last pic, the guy mcm dah tak sabar dah nak habiskan menggunting rambut bella….. hehehehe….. Anyway, where is Bella’s new hairstyle??…. mommy should post it in here la mommy…..
Do visit my gegirl blog..http://kisahkamuberdua.blogspot.com. A lots funny story about them..
K,then..kiss your B’s for me!hehehe..
Hihihi…. New look nya mana doc? nk tgk rambut baru! nk tgk! *excited* comelnye bella! Haha..very funny that she doesnt hv long hair like rapunzel..my son never made it to hv a proper hair cut until now…so i just cantas his hair n end up like a tempurung style hehe..
please sh0w me Dr. Halina…. Kat mana saloon tuu doc? Dr. Halina……mana photo B after her haircut ? dr the best m0mmy !! haa haa..saya bawak anak sy tapi dengan saya sekali kene duduk! where is the salon?? 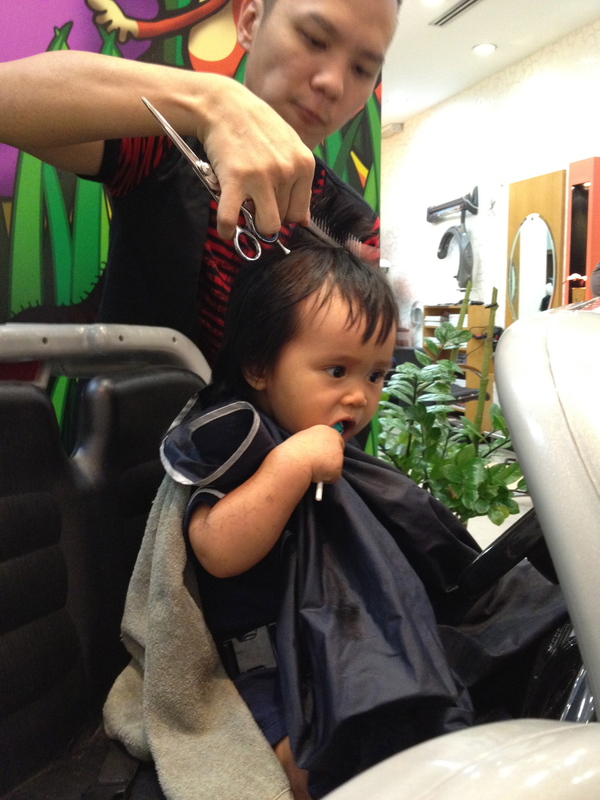 my boy also have prob if i want to cut his hair.. now, still searching any salon which is provide toys seat or toys car seat..
hahahha my son gets his first haircut dengan orang yang sama jugak.